For Life on Purpose Episode #51, my guest is bestselling novelist and “striving yogi” Karan Bajaj. Born and raised in the Indian Himalayas, Karan now lives in Brooklyn, New York. Via his website and thriving online community, he shares his attempts to live a Yogic life in the heart of the material world. 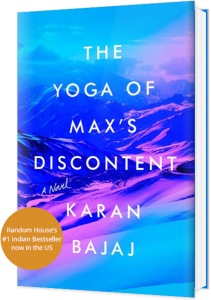 Karan joined me for a great conversation about his new book The Yoga of Max’s Discontent, which was published by Random House on May 3rd 2016. The book, called “The greatest adventure of our Generation” by The Daily Telegraph, was inspired by his one year sabbatical traveling from Europe to India by road and learning yoga and meditation in the Himalayas. Karan Bajaj is a bestselling novelist and striving yogi. He now has more than 200,000 copies of his novels in print, both optioned into major films. Born and raised in India, he has trained as a Hatha Yoga teacher in the Sivananda ashram in South India and learned meditation in the Himalayas. He is the author of the novels Johnny Gone Down and Keep off the Grass, both of which were No. 1 bestsellers in India. His first worldwide novel, The Yoga of Max’s Discontent, was published by Random House on May 3rd 2016. Called “The greatest adventure of our Generation” by The Daily Telegraph, it was inspired by his one year sabbatical traveling from Europe to India by road and learning yoga and meditation in the Himalayas. The book is about a Wall Street investment banker who becomes a yogi in the Himalayas and is both a page turning adventure through the hidden underbelly of India and a contemporary take on man’s classic quest for transcendence. He’s has also worked in senior executive roles at companies like Procter & Gamble and the Boston Consulting Group and was named among Ad Age’s “Top 40 Under 40 executives” in the US. 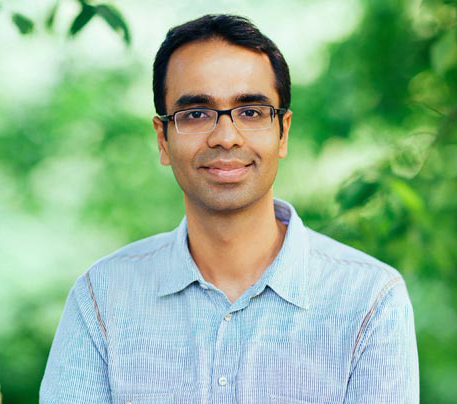 To learn more about Karan and his work, visit: http://www.karanbajaj.com/. A violent encounter on the streets of Manhattan forces Wall Street banker Maximus Pzoras to confront questions about suffering and mortality that have dogged him since his mother’s death. His search for a mentor takes him to the farthest reaches of India, where he encounters a mysterious night market, almost freezes to death on a hike up the Himalayas and finally, finds himself in an ashram in a small drought stricken village in South India where strange things begin to happen to him. But are Yogis who walk on water, do impossible poses, and live agelessly for 200 years the stuff of fiction or fact? Can a flesh and blood man ever truly achieve nirvana? Max struggles to overcome his rational skepticism and the pull of family tugging him back home. In a final bid for answers, he embarks on dangerous solitary meditation in a freezing Himalayan cave. Will Max penetrate the truth of human suffering, or is enlightenment just a new age illusion?